MOTIVATED SELLERS! Looking for a potential guest suite/in-law quarters? This remodeled split level home offers a great daylight basement with separate garage entrance. Could be used as 4th/5th bedrooms as well. 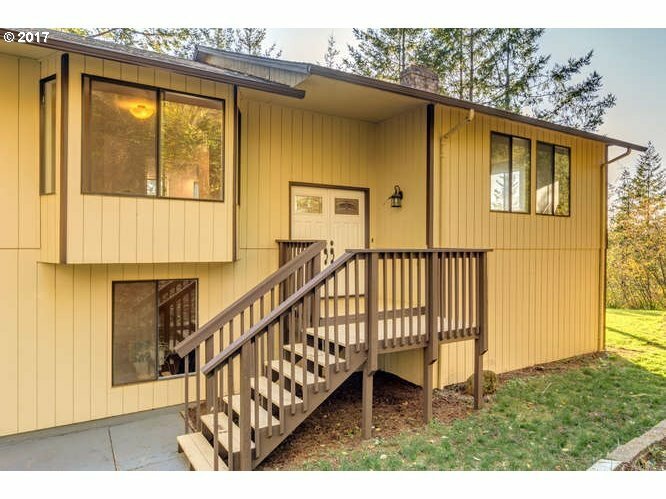 Open and bright floorplan...spacious deck nestled high in the trees showcasing the amazing sunset/city light view! Partially sloped 2.6 acres with possible room to build a shop. Just 12 min to dtwn Camas and 25 min to PDX!